Here at LIFE Church we are committed to helping others build God’s House in their local communities, the nation and beyond. As a leadership team, we understand the power of leadership and partnership and LEAD provides a great environment for leaders to gather together and learn from one another about building God’s house. 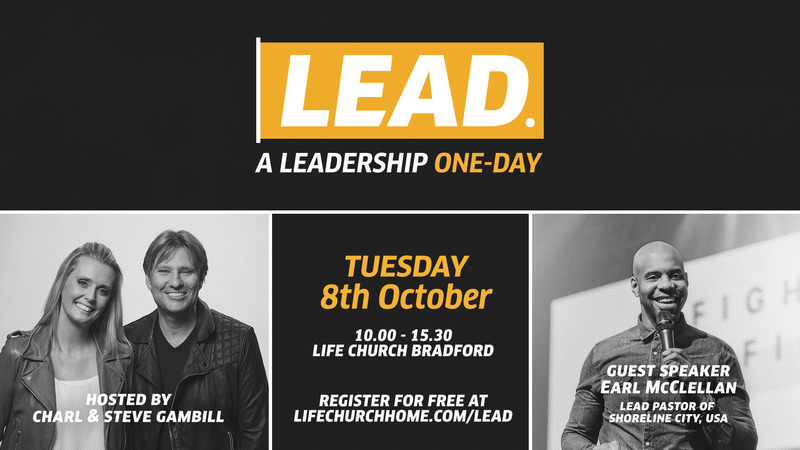 LEAD will include practical teaching and worship from LIFE Worship, and the opportunity to mix with other like-minded leaders. This is a FREE event and open to all existing, aspiring and emerging leaders involved in churches, ministries or businesses. If in doubt, come and invest in yourself and be equipped to be the leader God wants you to be. Please feel free to contact us if you have any questions, and of course, we want to hear from you via social media. See you at LEAD!